Last month the Chinese ports handled a total of 1.0 billion tonnes of cargo, an increase of + 6.6% about October 2015. The only sea ports have totaled a traffic of 681.2 million tonnes (+7 , 0%) while domestic ports handled 327.2 million tonnes (+ 5.8%). 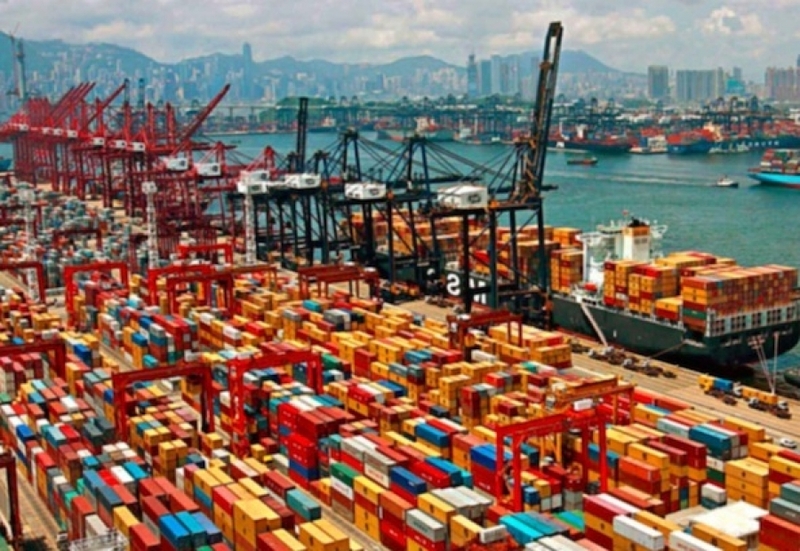 The main ports for traffic volume were Ningbo-Zhoushan with 76.6 million tons (+ 9.8%), Shanghai with 54.5 million tons (+ 2.8%), with 47.0 million Tianjin tonnes (+ 3.8%), Tangshan with 45.8 million tons (+ 13.4%), Guangzhou with 45.3 million tons (+ 13.3%) and Qingdao with 41.8 million tons (+ 4.8%). Euroseas is a tiny Greek shipping company with a fleet of 12 vessels and a penny stock traded on Nasdaq. On Tuesday, Euroseas’ shares rose by 100%. Since Donald Trump was elected president, Euroseas’ stock has nearly quadrupled. Seanergy Maritime, another small dry bulk shipping company that moves grain and coal, saw its shares soar by 75% on Tuesday. Shares of DryShips, a Greek shipping company that recently looked like it could be headed for bankruptcy, have climbed by 1,400% since Election Day. A Hanjin Shipping Co. vessel began unloading its part of $14 billion worth of cargo Saturday morning at the Port of Long Beach in California after a U.S. court granted the company a reprieve from having its assets seized, easing a cargo bottleneck resulting from the container line’s filing for bankruptcy protection.